LIVINGSTON, Scotland – 24th November 2016- Elite Control Systems is proud to announce that it has been awarded a second contract by ScottishPower Renewables. 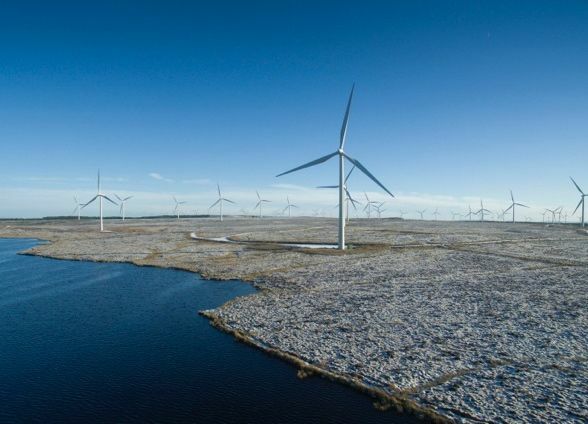 The agreement requires Elite Control Systems to continue to supply rapid response support services for the 29 onshore wind systems that ScottishPower Renewables operates across Scotland. ScottishPower Renewables, which has invested significantly in industry-leading automation and control system technology to operate its wind turbines, looks to Elite Control Systems to ensure that the automated process control systems it uses are functioning properly, around the clock. To achieve this, Elite Control Systems’ dedicated Support Services stands ready to respond to control system events that could disrupt operation. Elite Control Systems has been providing ongoing rapid response control support services to ScottishPower Renewables since 2015 when the two companies entered into the initial agreement. However, their working relationship goes back to 2013. Since then, Elite Control Systems has provided the company with wind turbine networking gear upgrades and conducted an extensive audit of its current control infrastructure. In addition to Scottish Power Renewables, Elite Control Systems’ Support Services division provides similar support to Amazon UK, Diageo Distilling, Glenmorangie Ltd and INEOS. The company’s engineering team is fully briefed on every customer’s needs, and is on-hand around the clock. Whether a customer has a comprehensive 24/7 support plan in place or is on an ad hoc call-out basis, Elite engineers are ready to respond so that production is up and running as quickly as possible. The recent addition of Vibration Monitoring and Profibus network health checks to its Support Services portfolio is particularly meaningful because companies can now derive comprehensive support, without going to the expense of creating extensive support teams internally. Companies can access Elite’s engineering expertise, as well as that of its partners who are some of the world’s leading automation and process control manufacturers. Elite also offers breakdown support for PLC, SCADA, IT systems and network infrastructure, including integrity testing. Its Support Services engineers also conduct system audits, health checks, minor modifications, and on–the-job training for clients’ employees.